One of the very latest aesthetic treatments available at Illuminate, we can now tighten loose or sagging facial skin and improve skin texture using Venus Viva technology. Venus Viva combines NanoFractional Radio Frequency and Smartscan technology to stimulate fibroblasts and rebuild collagen, helping to re-surface the skin. Safe and effective for all skin types and tones, this treatment is given via a hand held device and can also be used to reduce acne, rosacea, pigmentation and wrinkles. Using the same machine, we also offer the Venus Freeze facial, which uses radio frequency technology to boost collagen production by heating the deeper layer of tissue under the skin, helping to reduce wrinkles, tighten sagging skin and restore a youthful appearance. Skin tightening with radiofrequency technology is a non-invasive treatment that addresses lines and wrinkles and the early signs of loose or sagging skin. If you want to find out more about our facial skin tightening treatments or to book an appointment, get in touch with the Illuminate Skin Clinic in Kings Hill, Kent today for an initial consultation with one of our facial skin tightening specialists. How does this skin tightening treatment work? The Venus Viva device uses NanoFractional Radio Frequency to deliver heat through the skin’s surface. This is done via tiny needle-shaped pins which create very small wounds that the body naturally heals, re-generating collagen and repairing existing damage to the surface of the skin. A numbing cream will be applied to the skin prior to treatment. You will be lying down during the treatment itself. You may feel soreness during treatment and some minor redness of the skin immediately after treatment. 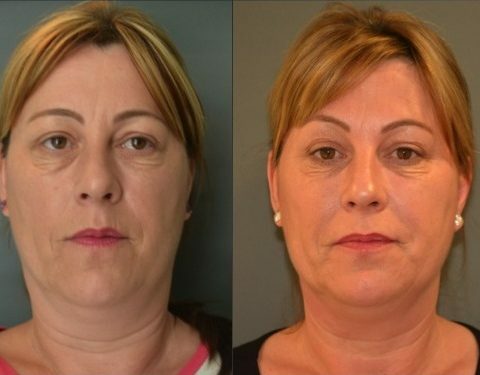 Who is this skin tightening treatment suitable for? Anyone wanting smoother facial skin, reduced pores or to reduce the effects of acne or rosacea. It is also excellent for treating stretch marks on the body.